The label spiel on a bottle of Melville’s throws down the glove to the beer critic, and appears to set the scene for a dramatic fall. Then the label announces that this beer comes from the Innis and Gunn brewery and the beer critic foresees the phrase “fair play” in his near future. Melville’s pours a rampantly carbonated dusky red-pink, with hordes of bubbles clinging to the walls of the glass. The head simmers down quickly to a minimal ring around the circumference and a paltry few islands of bubbles. The nose is obviously strawberries, and lots of them. At first the scent seems skewed towards the bitter end of the spectrum before a further inhale sees the sweetness present itself. The first taste is fruitier than expected, the notes of hops are well concealed behind the rows of rich strawberries and really only show themselves in the aftertaste. Even then it’s a spectral presence. All the other components of this lager are almost completely eclipsed by the rich (and richer by the taste) hit of strawberries, and the texture is smooth and a little thick, edging towards chewiness with the sticky taste of the natural sugar bulking up the mouthfeel nicely. 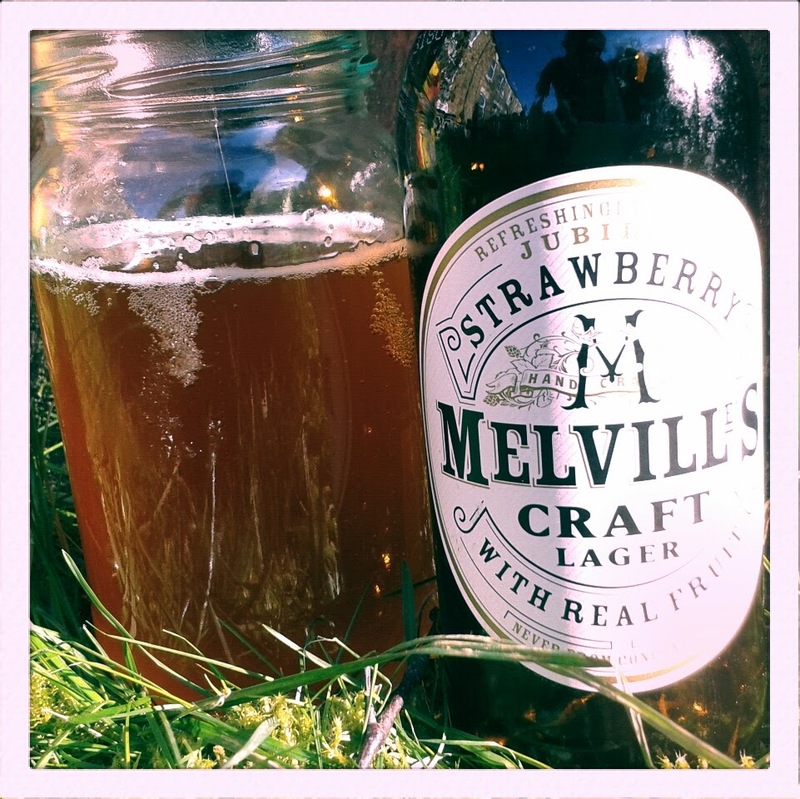 The taste of strawberries remains all the way to the bottom of the glass, and it is only with the final aftertaste that it even begins to feel like a lager beer. 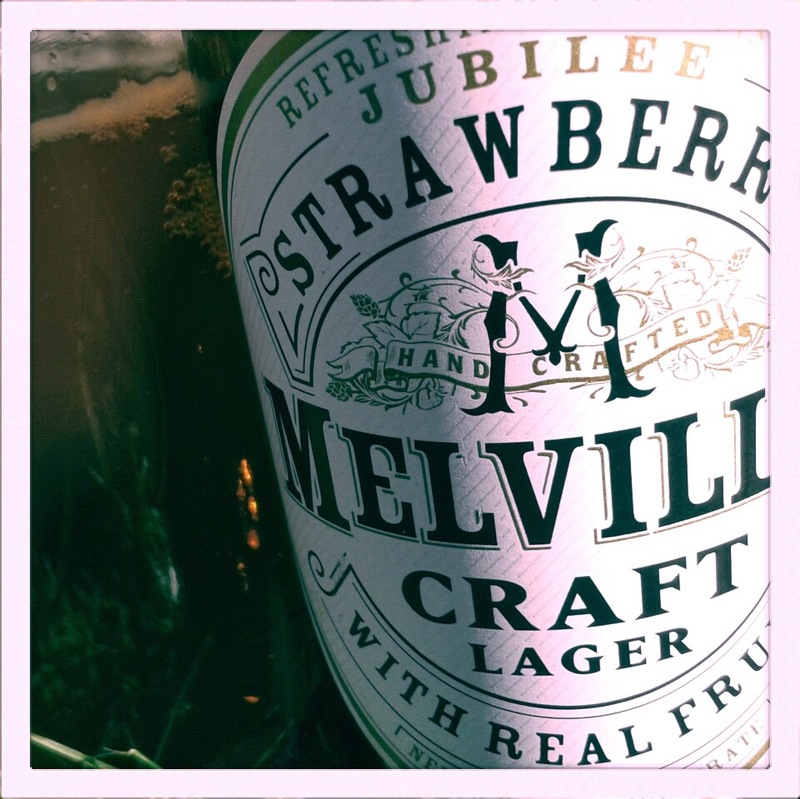 Melville’s is a great fruity lager- refreshing, simple and at an abv that makes it easily sessioned on a summer day without ending up in the back of a police car yelling about fruit and partially dressed. It really is a fruit beer for people who like great beer, and fair play to it.